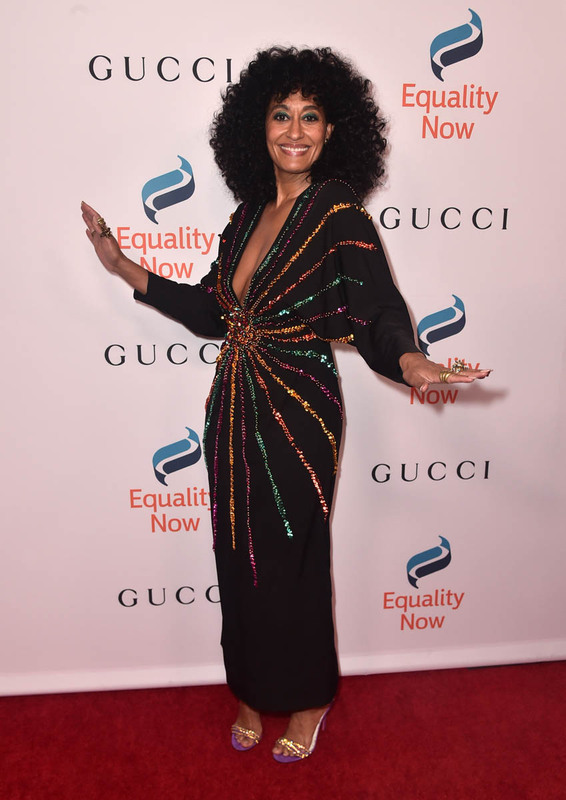 Tracee Ellis Ross was also at the Versace fashion show in New York on Sunday night. Last night she was back in LA for the Equality Now Make Equality Reality Gala. Two outfits with sparkle – which do you prefer? 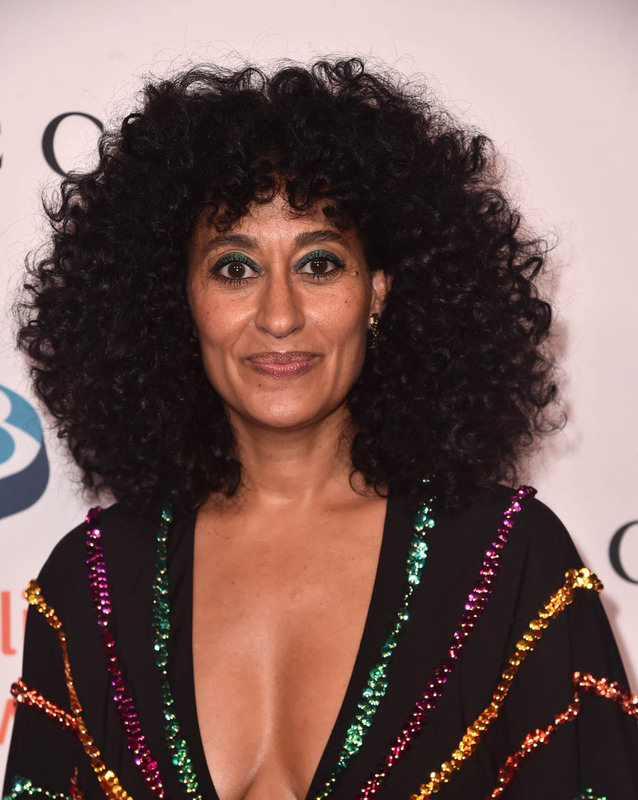 At Versace, Tracee wore blue velvet, with mustard chandelier earrings, and to me the letdown is in the dress. Because I don’t like the mismatched breast thing that’s happening. I get that it’s an intriguing design feature but the effect is that the breasts look lopsided, non? Also, and I can’t believe I’m about to say this, but I think the dress should be tighter. It looks like it’s too big. Or it’s not a fit that accommodates oversizing. Unlike the dress she wore at Equality Now. I love how all those sequined bands are coming together in a starburst. And I love the relaxed fit around her shoulders and in the sleeves. She looks comfortable, and she would have wanted to, because she spoke at the event, seated on stools, and this, I’m sure, was a consideration. You know what else is a good decision here? The makeup. Dramatic eyes but everything else left pretty bare, including the lips. It’s like she just came from the beach.